…..and I haven’t written a full blog in almost 2 weeks! So first I must apologise to my readers for being so quiet. As well as being busy preparing for Christmas, I have also been thinking hard about my designs and how I sell them from next year. This is all due to a change in legislation relating to EU VAT. Aimed at making large tax-avoiding companies pay VAT, it has hit also a huge number of small businesses who sell digital downloads, whether crochet patterns, music or a multitude of other digital downloads or PDFs. The legislation has been in the wind for 6 years but hasn’t been widely marketed because the legislators did not realise just how many micro businesses there are that operate in the digital world. And yes, that includes me! I will not bore you with the details, but from 1st January 2015 I will be limiting my pattern sales to a few websites – definitely Ravelry and also Loveknitting. 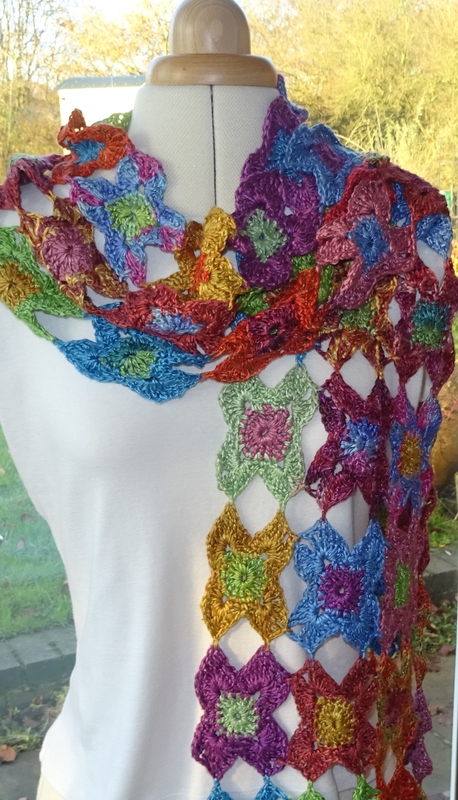 I used lots of oddments of gorgeous silk yarns from Willow Knits. 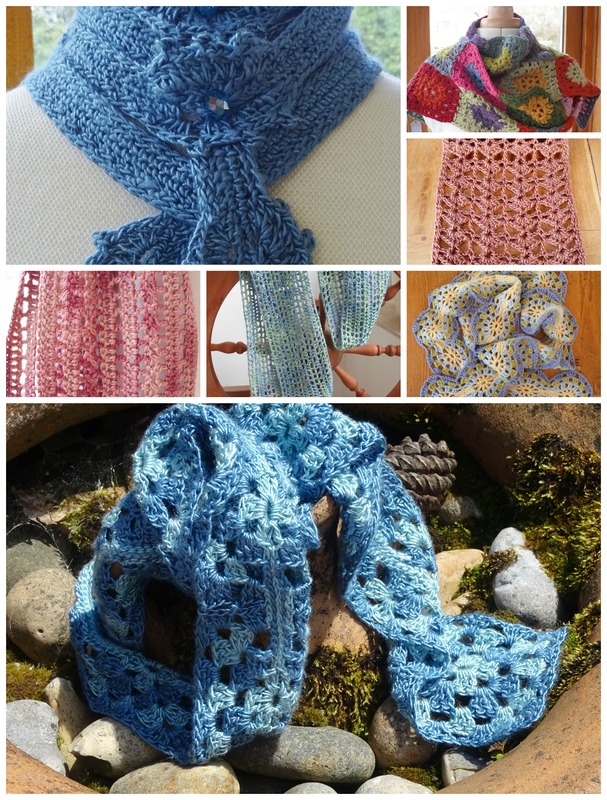 Also, I compiled all 12 designs from my monthly challenge into one ebook – My Year of Scarves. I can’t express just how good it felt when I pushed the button to publish this. I never expected I would last the whole year on this personal challenge but I did! 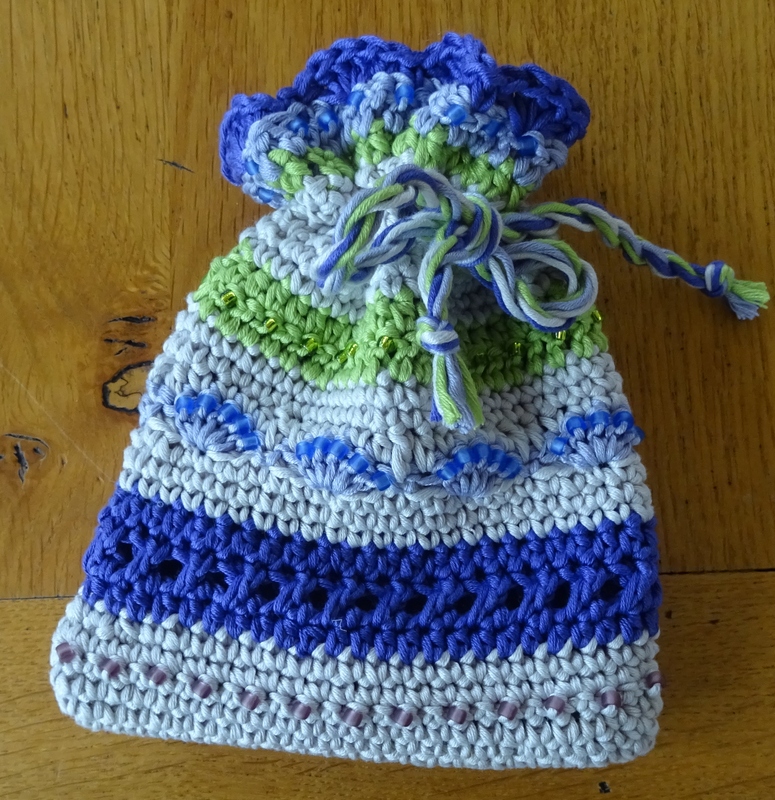 Remember the beaded crochet pouch that featured at the Buxton Knitaway? Well that has been published also. A CAL will be interesting. I’m in.